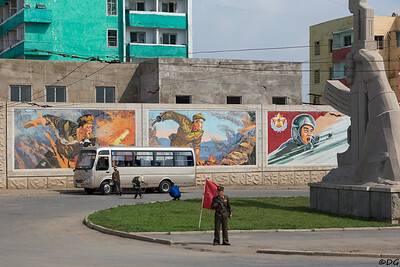 North Korea, Sariwon. 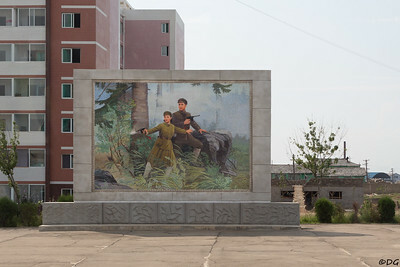 Mosaic of Kim Il-sung protected by his wife Kim Jong-suk. North Korea, Sariwon. Mosaics and monument at north entrance of Sariwon. North Korea, Sariwon. 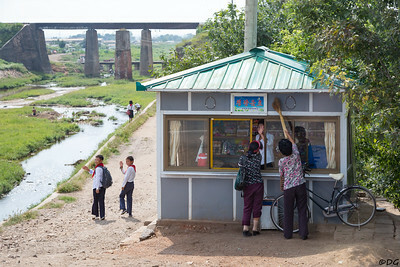 Small kiosk just north of Sariwon. 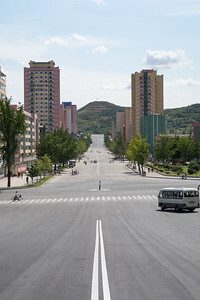 North Korea, Kaesong. 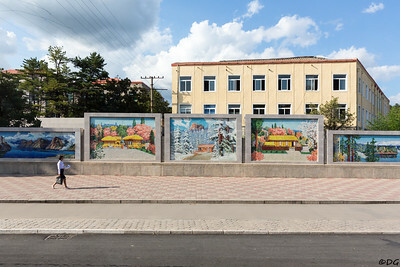 Mosaics near Nam Gate. North Korea, Kaesong. Traffic cop trying to keep up with mid day rush hour.